GoFundMe is an innovative crowdfunding platform founded in 2010 that allows individuals to launch fundraising campaigns for initiatives that are important to them. These campaigns range from personal campaigns to cover tuition expenses or medical bills to campaigns organized on behalf of charitable causes including natural disaster relief. The goal of each campaign is to source support for each cause by leveraging crowds of donors. GoFundMe offers a technology platform to host these campaigns and provides marketing tools and support that are aimed at attracting crowds of individuals interested in donating to those specific campaigns. 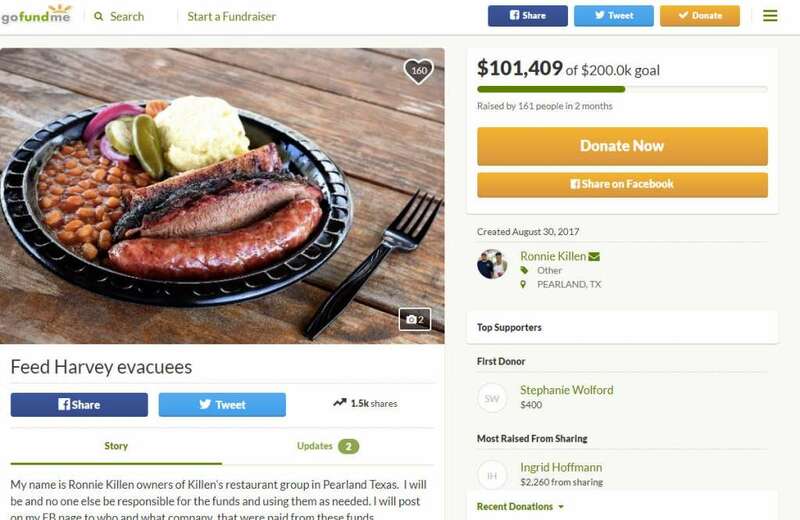 In addition to the technology platform and marketing tools, GoFundMe also creates value for individuals with a funding need by offering an efficient and safe payment collection method as well as tools to effectively manage each campaign. From the perspective of donors, GoFundMe offers a great way to find campaigns to donate to for causes that matter to them. Aggregating such a variety of causes for donors attracts large crowds who also value the brand and reputation of the company to assure them about the credibility of the campaigns. Additionally, donors seem to value the community aspect of GoFundMe, potentially espoused by the well-known phrase, “do to others as you would have them do to you”. 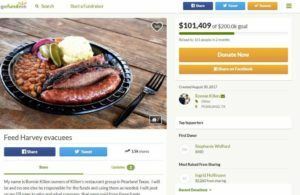 GoFundMe was not the first to develop a platform that seeks to crowdsource fundraising, however, it has become the largest platform in the space. Given how successful GoFundMe has been, many companies have sought to enter the space, including large, well-capitalized companies with huge embedded networks such as Facebook. Historically, GoFundMe captured value by charging a 5% fee on the amount of money raised by those that start campaigns. This model allowed the company to become the largest crowdfunding business in the U.S. as well as a very profitable business. As of the end of 2016, GoFundMe generated $100MM in revenue and its platform hosted the raising of $140MM per month in donations. Recently, GoFundMe decided to remove the 5% fee that they charged historically to make their platform available for free to both parties. In order to generate profits going forward, GoFundMe has added the functionality to voluntary add a tip to a donor’s donation. Presumably, this drastic change in business model came because of increased competition in the space. It may also have been driven by not wanting to charge those “in need”. GoFundMe’s shift in business model seems to indicate that GoFundMe believes that its service has created a community feeling around it platform, similar to what Wikipedia has done with information, to incentivize donors to increase their commitments by making contributions to the platform itself. Do you think this drastic change in business model from a fee charged to individuals who launch campaigns to optional tips from those donating to campaigns is sustainable? Additionally, is lowering the cost of a campaign going to sustain GoFundMe against competitors, especially those with embedded networks? Really interesting post! It’s surprising to me to read that GoFundMe is the largest platform in the space because I would have guessed that both Kickstarter and Crowdrise are formidable competitors. Although perhaps the pressure they are feeling from these two companies is the reason for this drastic shift in business models. I agree with Saurav above that this feels a bit like they may be in trouble. I would be curious to see how many users actually willingly add a tip to their donation – I worry that this won’t be frequent enough to compensate for the loss of the 5% fee that they just gave up. The only potential bright spot I could see working in their favor is if my dropping the 5% fee they can regain and steal major market share and then find other ways to monetize this user base. GoFundMe and similar platforms are fascinating. There’s such a wide range of campaigns that they can benefit as you pointed out. I read just the other day that the CEO of a toy maker was looking to raise money through GoFundMe to buy Toys “R” Us out of bankruptcy. 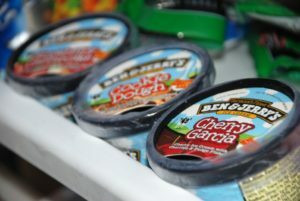 It also raised millions for victims of the Stoneman Douglas tragedy. I’d like to think that its new business model will be successful because I think people have developed a pretty strong appreciation for the value that the platform provides. The platform is predicated on peoples’ generosity, so it’ll be interesting to see whether GoFundMe themselves can benefit from that in their new model. Thanks for this post! Echoing others – the decision to make the 5% fee ‘optional’ seems like it could be the nail in the coffin for this business as I’m guessing most people would not voluntarily pay for this service. Psychology would indicate that they should have made it an option for users to opt-out of this payment rather than opt-in, so I wonder if the intentional decision to use the latter approach is indicative that they are also considering other business models/avenues for revenue. Another issue I see with this platform is controlling for the authenticity of campaigns as it scales. As gofund me becomes an increasingly popular resource for genuine people dealing with real pain points, more nefarious actors may also try to make use of the platform. Controlling the crowd of posters, and this the reputation of the platform will be critical to continued success.